Caol Ila distillery was founded in 1846 by Hector Henderson and is located on Islay, near Port Askaig, overlooking the strait between Islay and Jura. Its name derives from the Gaelic for ‘Sound of Islay’. Over the following decades ownership changed a number of times, until in 1920 Caol Ila was liquidated and sold to J. P. O'Brien Ltd who in turn sold it to Caol Ila Distillery Co Ltd. the same year. Distillers Company Limited (DCL) took control in 1927 and transferred Caol Ila to Scottish Malt Distillers (SMD) in 1930 who shut it down. The distillery was silent until 1937 and had to close down during World War II, from 1942 to 1945, because of wartime restrictions on the supply of barley to distillers. From then, production continued until 1972, when the distillery was completely rebuilt in order to meet increased demand from the blenders. Production resumed in 1974, and in 1986 the distillery became part of the United Distillers conglomerate. 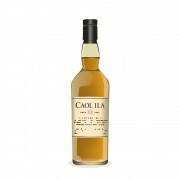 Today, Caol Ila is part of Diageo, and in addition to being sold as a single malt is used heavily in blends such as Johnnie Walker Black Label, Johnnie Walker Double Black and Black Bottle. 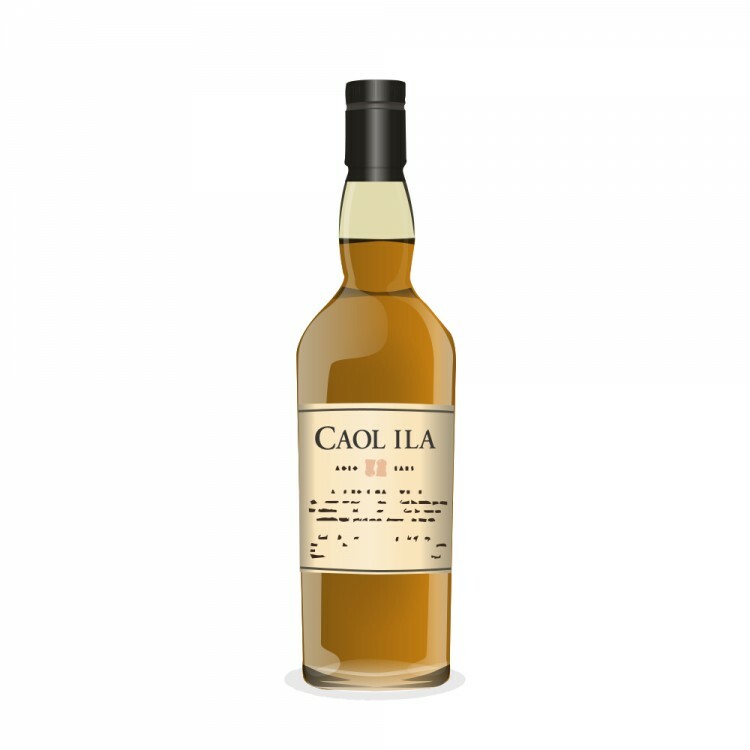 The 25-year old expression was matured in refill American and European oak casks, and has been part of Caol Ila’s core range since 2010. The nose is soft, briny and pleasantly malty. At the beginning there are distinct cereal and lemon flavours, followed by liquorice and vanilla. There are also intense grassy notes, accompanied by light smoke. The palate is oily, creamy and buttery – GREAT! There are again plenty of vanilla flavours, now followed by caramel, lemon and notes of leather. There is hardly any smoke at all, just hints of wood spice. The finish is long, warming and dry. Vanilla and leather notes carry the day, followed by lemons, salt and subtle peat smoke. Dignified and complex, this is a stylish single malt. Right from the beginning the nose tells you that you are in for something special, and the palate is just fabulous. This is the dram that converted me to single malts a few years ago and consequently will always have a special place in my heart. I make sure to always have a bottle in my cabinet.